Our Website can provide people considering selling a home with a lot of useful data concerning active home listings and closed sales. However, nothing can replace the help that an experienced and knowledgeable real estate agent can provide in not only pricing and marketing your home, but in ensuring that the transaction and all of the associated contracts and disclosures are handled properly ensuring a smooth sale. The real estate market is changing everyday. Before meeting you we will prepare a Comparative Market Analysis (CMA) to give you up-to-date information on what is happening in your market area using hand-picked comparables. The CMA will help us decide the fair market value for your home in the current market. The fair market value is the price at which a home will sell within a reasonable amount of time. Once we have decided on a price and tested it, changing market conditions may require adjustments to the price to remain competitive. Our CMAs uses the most current and reliable information from the Multiple Listing Service (MLS), real estate firms, and title companies in this community. The homes included in this analysis are a sampling of properties in the area that are currently for sale or that have recently sold. They provide us a base line from which to begin our comparison. Other factors considered in this comparison are square footage, location, amenities, the physical condition of your property, and the effects of any existing financing on your home. 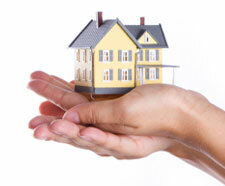 The CMA will allow us to figure, using the above information, the fair market value for your home. Remember this is just an estimation and the price could vary up or down depending on the motivation of the buyer, seller and any fluctuations in the market. Our overall marketing approach is a mixture of both traditional tried-and-true techniques and leading-edge technologies. Studies now show that the vast majority of home-buyers today consult internet based real estate sources when they begin their search before contacting a professional. At Playa Properties, we are ever adapting our internet marketing approach to target the best internet web sites for advertising real estate and to ensure that your listing becomes syndicated and adequately exposed to the appropriate home-buying audience. Other proven marketing methods we use include flyers, attractive signage, open houses, local newspapers, and listing in the local Multiple Listing Service (MLS). We also incorporate exceptional and meticulously produced photographs of your listing which is used throughout our digital and print marketing pieces. A National Association of Realtors® study show that 82% of real estate sales are the result of contacts through previous clients, referrals, friends and family, and personal contacts. As experienced Realtors with many personal and business connections throughout Orange County, we know the value of networking in order to sell our client’s listings. As such we use a number of tools to create buzz around our listings including Realtor emails, personal contact emails, blog postings and other finely tailored marketing approaches. Home • Contact Us • 949.548.2822 • DRE License #01446816 • © 2012 Playa Properties. All Rights Reserved.